Denise Walthers is founder and president of the DW Group, an executive consulting company specializing in manufacturing and marketing to support women-owned businesses in bringing innovative new products and ideas to the marketplace. The DW Group currently manufactures private-label skin care, beauty aides, eco products and designer fashions. Denise designed the versatile Houdini Collection wrap dress that converts to ten different looks. She also runs the Direct Selling Leadership Center to provide leadership training to various direct selling companies in the U.S., Canada and overseas. 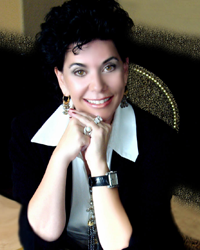 Denise has more than 20 years of experience in leadership development within the direct selling industry and is author of Ten Steps to Success and Ten Steps to Style. Volunteer activities include board member for ARCS (Achievement Rewards for College Scientists), steering committee and chairman of the ARCS Fashion Down to a Science Fashion show Fundraising committee, recipient of the ARCS Light award for outstanding community service, and recipient of the eWomen’s Network Femtor Award for 2010. 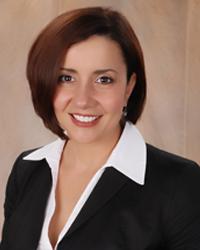 Elaine Bispo Smalling has more than 15 years experience in economic development, working within various industries and government agencies throughout the Tampa Bay region to foster business growth and prosperity in new markets. Elaine began her career as the Southeast Regional Operations Training Manager for The Body Shop Skin & Hair Care Preparations. She then became a Marketing Manager and Business Development manager for both city and county government, where she focused on international business development, transportation and Foreign Trade Zone utilization. Before joining The DW Group, she served as Vice President for the St. Petersburg Downtown Partnership, a business focused, membership based, non-profit, with the mission to promote sustainable growth and redevelopment in downtown St. Petersburg. She has a Master’s degree in Business Administration from the University of South Florida, with a concentration in International Business.